If you are looking for a affordable, luxurious car hire service in Pune, think of Pune Tours. With several car options you will not be left wanting for a car of choice. Look forward to a pleasant cab booking experience. Apart from your run of the mill car hire service, Pune Tours also provides you some special car booking service online. Not only do we have several cars for you to choose from, PuneTours also offers the customers with vehicles of different sizes and comfort levels. You can choose a small car for you inner city travel, while a mid-sized sedan or a SUV for hire would be more suitable for your outstation travel needs. 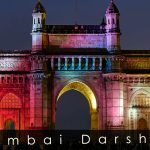 If you are looking to book a cab or bus service for a large number of people Pune Tours is more than happy to accommodate your needs. We have a service that suits all pockets and suits all requirements. 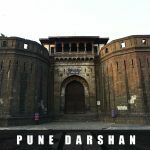 Pune has a very rich heritage and has many historical places to be visited which include Sinhagad fort, Lohgad, Sajjangarh fort Thoseghar, Kaas plateau, Kaas Pathar, Rajmachi, Torna, Rajgad, , Kaas Pathar, Murud Janjira. Pune offers a lot of destinations that are well deserved to be visited like hill stations via Khandala, Mahabaleshwar, Lonavala. There are also several pilgrimage destinations that are close by which travellers love to visit. You can book a car or cab service for the Pune to Shirdi Tours, or the Pune to Ashtavinayak Tour. We also provide one way drops to the Mumbai Airport. 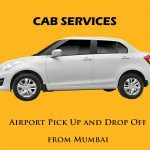 We provide pick up and drop services to Pune to Mumbai Airports, or vice versa. To visit all these places you need to journey in a vehicle that is comfortable and relaxed so that you are all energetic when your reach the destination to enjoy the scenic beauty or the memories spent with your loved ones, our car hire service provides the answer to all these queries.